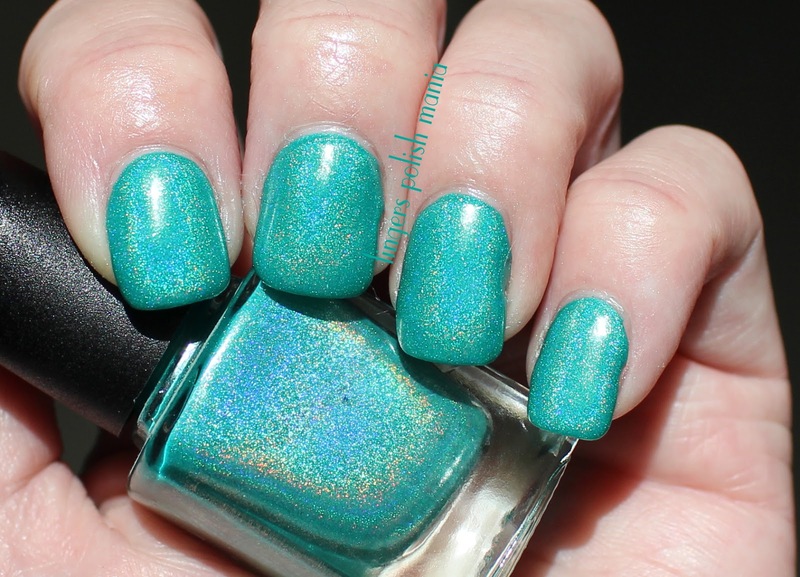 fingers polish mania: Colors by Llarowe Refresh.....ing! Sam is slowly progressing. I've been buying all sorts of different cat food to get him to eat. He had three days in a row of throwing up, so I've put him back on the laxative twice a day. Last night for the first time he ate pretty good and then ate a good breakfast. I am still worried but hope he's getting better. I tried to call the vet yesterday but heaven forbid I actually talk to a vet on the phone. All I got was you can bring him in at this time and it's some obscure middle of the workday time so when I ask for a different day, like one I'm off, it's nope we're full that day. I get the feeling that because I'm not dropping everything to bring him in, they feel Sam must not be that bad. Part of that is correct. If he was really bad like he was, I did leave work to bring him in. All I wanted was the vet to tell me he's moving in the right direction. There are two other vet clinics around, I may call them if necessary. Today I plan to soak off the gels and start over fresh. It's been 2.5 weeks and while I could go a few more days, I just kind of feel like doing it today. I will be taking tons of photos and writing posts on that for later. Work yesterday was another round of joy. One of my coworkers called out sick and later that day we got a fax from her doctor telling our boss she needs a special chair (or maybe it's a standy thing) plus a mat as her back hurts. Yeah, my boss is gonna love that sh*t. That ain't happening no way no how. I see that as one more step out the door for her. Then the other one comes back from clinic and I was helping her do some of her work when she just started crying big time. Yes I'm a nurse, but no I'm not good with coworker crying jags. Especially when it seems to be every day lately. She actually hugged me and I'm not a coworker hugger either. But I did my duty and listened to her complain how the doctor she works for is mean. Yes he is, always has been, always will be. It's getting old hearing this day in and day out. Nothing on the thermostat debacle. It's been on 70F ever since and while I have talked to that person, it has been strictly business, nothing else. I'm still pissed and stab me in the back once, trust I won't put myself in the position for you to do it again. What's that saying? Fool me once shame on you, fool me twice shame on me. Not quite the right one but you get my drift. I've decided for now to leave the dents in my car. It boils down to the fact that I'm too lazy, that it's on the trunk and I don't see that often and it will probably cost me money to fix. I was backing up at work yesterday and some jacka** big truck had sort of boxed me in so I was doing the multiple cranking turns of the wheel when I heard a loud thump. Now that's never a good thing to hear when you are backing up, but in my new car? I freaked, got out of my car to check my back bumper. Turns out, it was construction workers doing work in the parking deck that had made the noise. PHEW. Oh and I think I've almost got the seat and steering wheel adjusted perfect and am getting better at shifting to sixth gear. All right, let's look at this stunning polish. I hated taking this one off. I was loving it way too much! How freakin gorgeous is this????? I tell you I did not want to take this off at all. I need to wear this one again very soon. Oh and cross your fingers. My new tracking number says my Chanel polish should be here today!